"This fine page-turner ingeniously turns into the story of the very book one's turning the pages of. A creative twist on a genre that's usually linear, Jody Weiner's image-specifics also are refreshingly effective. "In the novelistic tradition of The Great Gatsby, Jody Weiner has created two characters that represent the American penchant for ambition. 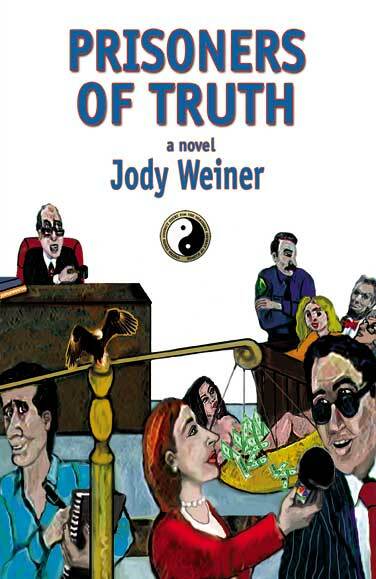 With bright humor and unstinting honesty, Weiner holds a mirror up to the reader forcing us to examine our own weaknesses . ."
"Jody Weiner is a master of authenticity, putting his story down in all its hues with the deftness of a great realist painter. His characters vividly come to life in this funny and classy legal-flavored pot-boiler/morality play. I could feel Ollie Katz's breath on my neck." "Jody Weiner evokes Paulo Coelho, author of The Alchemist. They write with the same intentions and both deal with storytelling and reality with the same integrity, obliging the reader to engage truth in a deeply comic and spiritual manner." Hardcover, 261 pages, 6 1/4" x 9 1/4"